Freshman Donnie Tillman scored a career-high 16 points and just missed out on a double-double as Utah led start to finish for an easy 80-60 victory over Hawaii Saturday night at the Huntsman Center. The Utes (6-1) weren’t tested as the visiting Rainbow Warriors shot just 36% from the field and just 18% (4-of-22 shooting) from beyond the arc in front of an announced crowd of 13,896. Tillman was 5-of-9 from the field and had added eight rebounds in just 29 minutes off the bench. Dave Collette finished with 16 points for Utah while Gabe Bealer scored 14 and had a game-high four 3-pointers in the win. After taking a 37-30 lead at halftime, the Utes busted things open in the second half as the Runnin’ Utes used a 20-6 second-half run to pull away. Buggs led the Rainbow Warriors (4-2) with 14 points and Mike Thomas added 12 in the loss. With the win, Utah improves to 6-1 on the year and will face its biggest test so far this season on the road against Butler on Tuesday. NBA Sighting: Utah Jazz rookie Donovan Mitchell was in attendance a day after dropping a franchise rookie record 41 points Friday night. It was the most points scored by a rookie since Balek Griffen did so in 2011. During the game, the student section chanted Mitchell’s name and yelled, “Rookie of the year.” Mitchell was also given a Utah holiday sweatshirt. 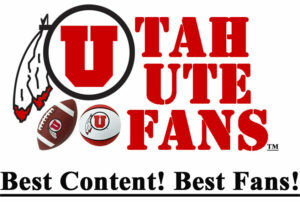 Follow Utah Ute Fans on Facebook.